All I want for Christmas… – Winning. Words. 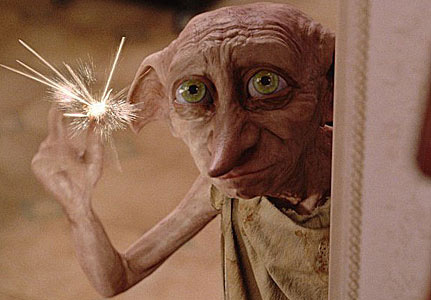 …is a house elf. Seriously. Just think of the life (and forgetting those pesky house elf rights that a certain bushy-haired toff is always harping on about). “I’m cold and need a cuppa tea,” my friend says. “Go and make one,” I suggest, ever-helpful. “It’s nice sitting down,” he reasons. “Times like this you need a house elf,” I sigh. “Hmm, what name could he or she have?” friend ponders. “Fidget,” I ponder back. “Belcher,” thinks friend out loud. “Or Squeaker. Or Voddy.” He’s enjoying this a little too much. But it’s a pretty cool game – a new one for Christmas, maybe. Shame we can’t really have our own elves – maybe I’ll go find a pygmy instead. But then there are those pesky pygmy rights to get around, too… D’oh!